Just came back from my annual trip on Amtrak's Empire corridor and I wanted to give everyone a report on the state of the signaling as various "improvement" projects progress. I had previously reported on the state of the Albany-Rensselaer terminal complex, formerly controlled by LAB tower. As of last year, CP-141 and CP-142 had been rebuilt and transferred to the new Hudson North dispatcher (on weekdays at least) along with a new CP-138 controlled point replacing the old CP-141 holdout. Rule 562 was in effect between CP-141 and CP-138 and work was ongoing to rebuild CP-143, which was placed in service later in 2016. Fast forward a year and not only have CP-144 and CP-145 been rebuilt and placed under the control of the Amtrak dispatcher, but the second track is not in service between Albany and Schenectady. New signals at up at CP-145 with the Rule 562 No "Fixed ABS" signs in place for westbound traffic. 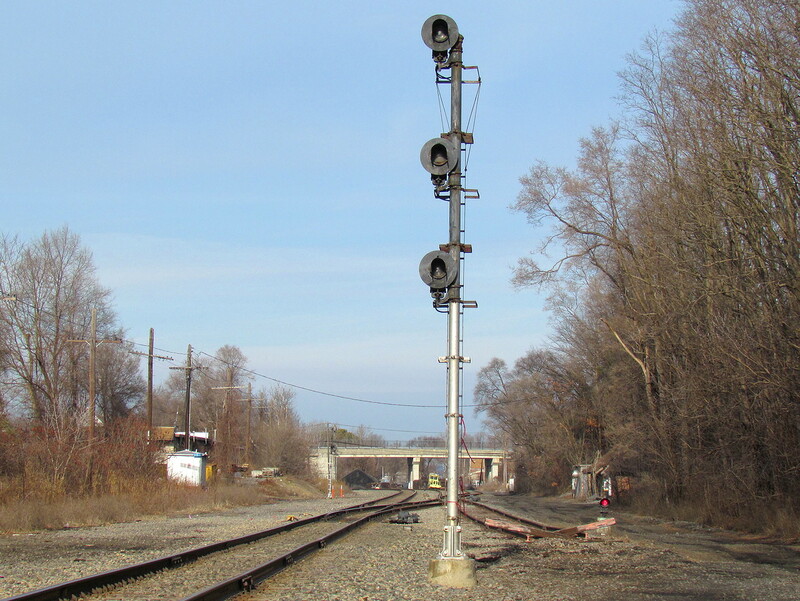 Signals are SafeTran modular targets as were seen at CP-141 and CP-138. I can also confirm that CP-146 has also been rebuilt to the same standard and I can also safely assume that CP-156 has met the same fate, along with all intermediate signals. 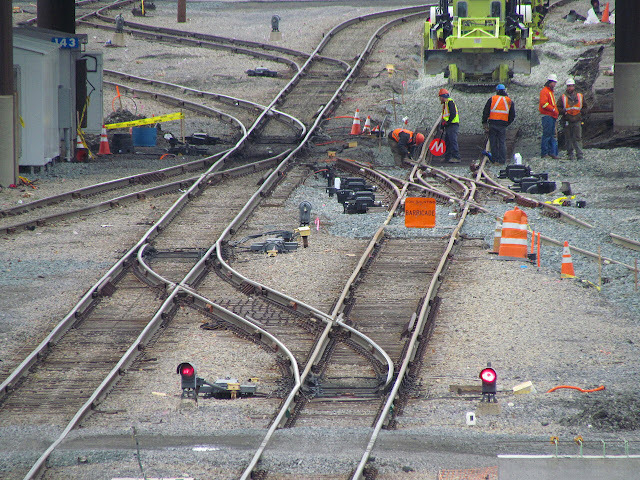 CP-156 in 2016 with construction about to begin. The good news is that CP-159 and CP-160, situated on either side of the Schenectady station, show no signs of reconstruction, and neither do the intermediate signals between CP-160 and the end of Amtrak ownership at CP-169 in Hoffmans. 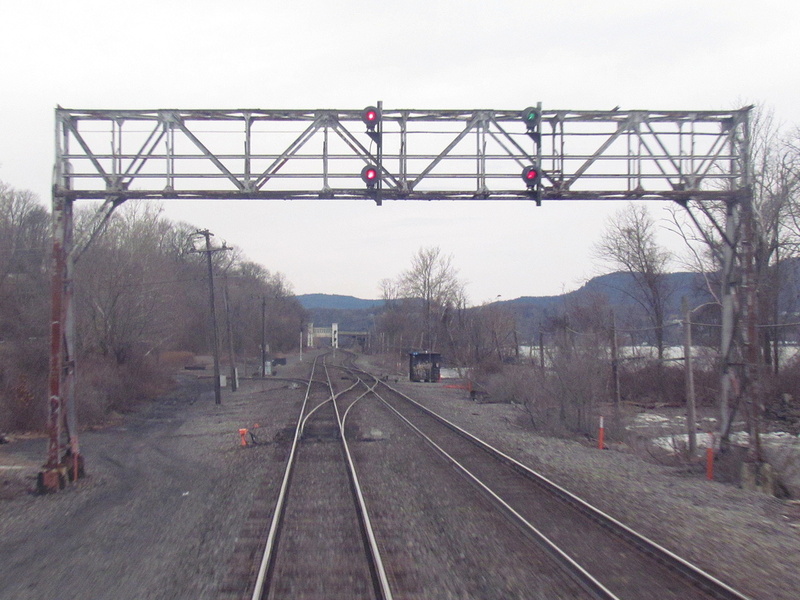 The lack of "No Fixed ABS" signs at CP-159 also hint that the two-track signal NYC signal gantry between CP-156 and CP-159 is still in service. Issues with being able to finance the Schenectady Station reconstruction will hopefully prioritize that over signal replacement. 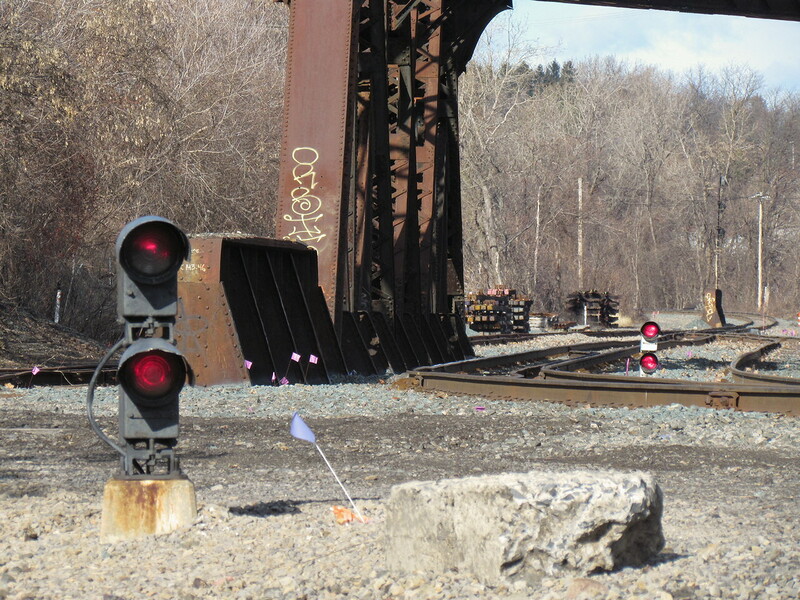 Rewinding a bit, not effort has started on the much talked about Hudson Line re-signaling project below CP-138. It will be interesting to see what gets prioritized in the likely funding squeeze ahead. 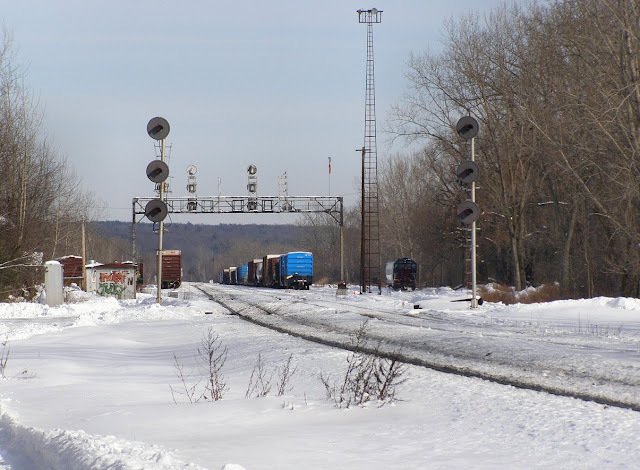 CP-89 and its friends on the Hudson Line are so far untouched. In some related news, the last islands of classic D&H searchlights appear to be falling as new signals are ready to go up at CPF-483, located at the south end of Mohawk Yard. 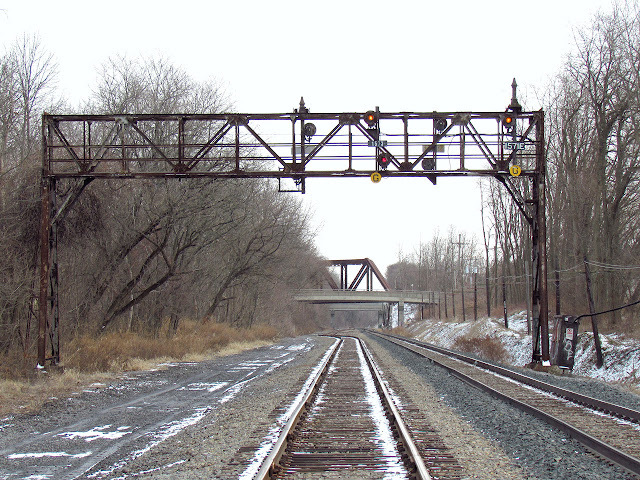 The classic D&H/B&M signal bridge is being replaced as well. The one interesting thing was that I was finally afforded a closeup of the CP off-brand US&S N-3 non-modular traffic light type signal. At least that's a little better than the SafeTran clamshell :-\ Also, the relay hut was freshly painted so that might also be seeing a second act. Fortunately, years of tireless effort has allowed me to document most of the now replaced, removed or retired signaling locations.